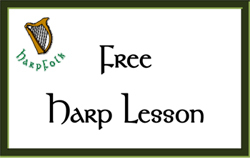 There is nothing like live music, and the Celtic harp is one of the most versitle of instruments. 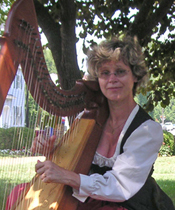 In my hands, the harp can be celebratory or soothing; played front-and-center or blending into the background; before large gatherings or in small intimate settings. "The harpist certainly set the mood for our 'evening of pampering' for our guests. The presentation was relaxing and very elegant from the beginning to the end. Ms. Reid was very prompt in reference to our requests for this special evening. It was a privilege working with her." "The world would be a better place if more people played harp."